People love to know with celebrities are wearing and how they can achieve the same style. When the TV show Friends was out, everyone wanted to get Jennifer Aniston's haircut "The Rachel." When I was younger, I would flip through pages of fashion magazines to see what was popular then beg my parents to buy it for me. From Uggs in elementary school to Miss Me Jeans in junior high to knee high boots in high school, it's part of our culture to want to look nice and keep up with the latest fashions. I got to talk with the owner of the Instagram account @baldwinscloset, a style closet for model, Hailey Baldwin about why she started her account and what she learned from running it. 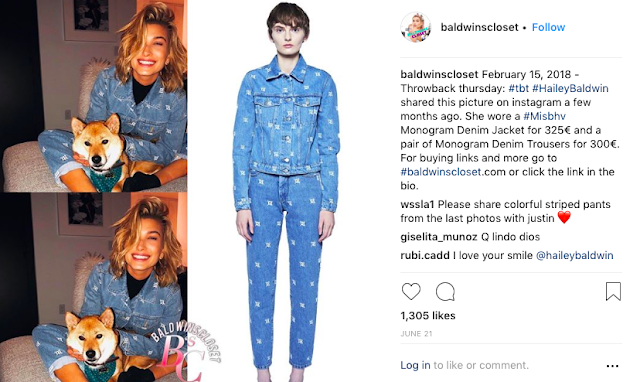 Why did you create BaldwinsCloset? I created this account because I love Hailey Baldwin's style. I think she is a pretty cool person. She and I would get along pretty well. Her style is just fabulous! She knows how to dress pretty chill and glamorous. She kills every outfit! 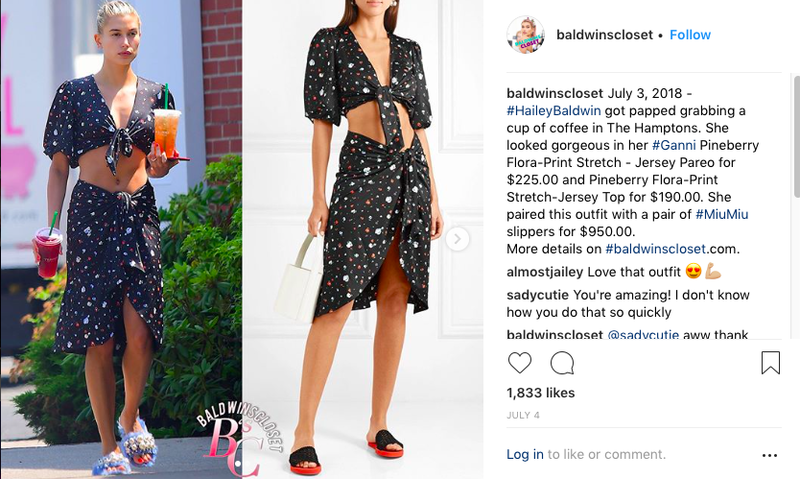 I wanted to show everyone where she got her outfits from, so we can buy them too or just to have some inspirational style. Do you find all of her outfits by yourself? Mostly I do, yes. I am running this account all by myself. 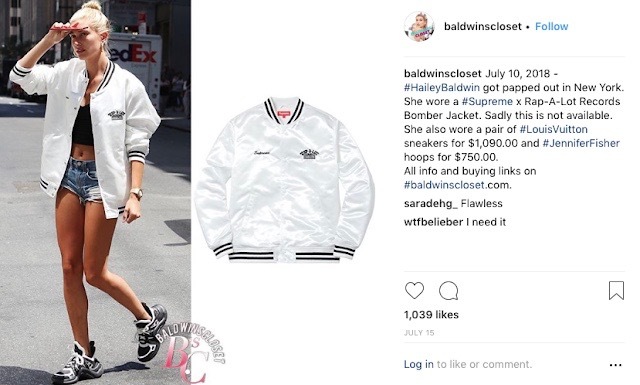 I am happy when Hailey's stylist shares the outfit details so it's easier for me to find her outfit. I sometimes ask a few friends I made here on Instagram if they know where the item could be from, but other than that, I always look for outfits by myself. How long does it take to find a look? 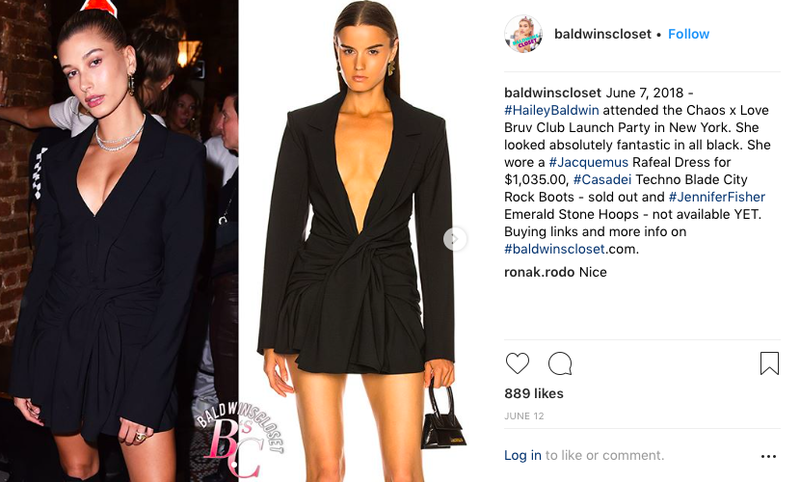 Sometimes I find an outfit in minutes since I know what brands Hailey usually wears but sometimes it does take me a few hours to days. There are still a few clothing pieces that I haven't found yet. Looking for an outfit all by myself if very time consuming, but I love spending try time like that. Running this account is a lot of fun. There are a lot of fashion closet Instagram accounts. There must be a lot of competition. How did you grow your account to over 75,000 followers? I started posting on Instagram about three years ago. It's a lot of hard work running this account to be honest. I am working full time and I've got other stuff to do therefore I can't spend as much time as I'd love on this account. The more I post the more followers I get. I've noticed that whenever Hailey is coming up with new projects more people start following me, even when I haven't posted for a week or so. My favorite stylists are definitely Maeve Reilly - I love what she chooses for Hailey to wear - Simone Harouche and Elizabeth Sulcer. Do you want to work in the fashion industry? I'd love to work in the fashion industry. I've always wanted to design my own clothes, but it is very hard to get into the industry.